Technology in the classroom can enhance education in so many ways, bringing more enthusiasm and collaboration into the classroom than ever before. Check out these 9 types of engaging classroom technology every school should have. Tablets, particularly iPads have made their way into classrooms everywhere and will only continue to proliferate. Educators everywhere are seeing the countless benefits tablets and iPads are having on their students. They grab students’ attention, make learning exciting again, increase engagement, and make education a lot more interactive and collaborative than ever. 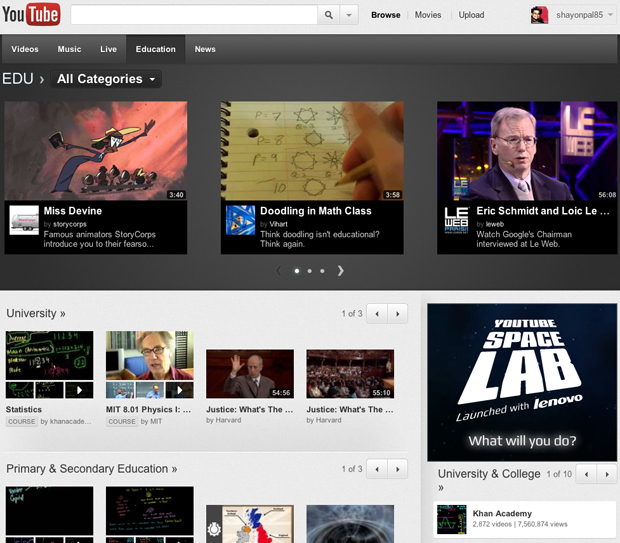 In my opinion they make the perfect learning tool. Sometimes verbally giving an example or explaining something with diagrams isn’t always the most effective way to create the complete picture for the students. 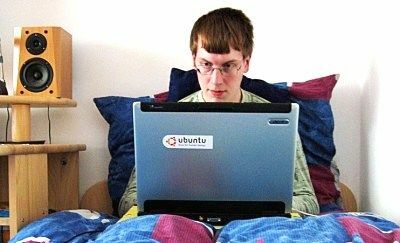 Video streaming can be a very effective method of educating today’s students, which have grown up around this. You can also create videos for your students by using a webcam and online conferencing software to keep your students engaged outside of the classroom as well. eBooks are rapidly gaining popularity as classroom technology, as they should. When I was in school I would have given anything to avoid hauling around a bunch of hefty textbooks. So while they literally lessen the load on students they also enrich learning. EBooks make learning outside of the classroom a lot easier too. Students can carry around an iPad, eReader, or other device a lot easier than a stack of textbooks. Plus, eBooks can include interactive images, quizzes, and games, to keep students more eager to learn than just a regular textbook. A document camera scanner can project anything that is on the teacher’s desk or podium for presentation to the class. In college I had a lot of professors use these to write notes on for large classes, point out things in a textbook or a document, and even perform chemistry experiments under them so everyone in the 200+ lecture could see it. 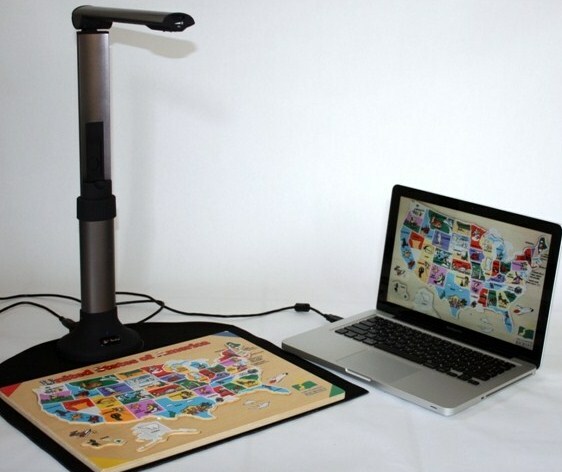 Document camera scanners, sometimes referred to as visual presenters are very useful classroom technology. Distance learning classrooms are popping up on campus and school wireless networks all over the US along with all the online courses. Lecture capture software allows educators to share class sessions online with students. Students can view classes from home online for review and studying. Also previously unavailable classes can now be made available to students through distance learning and online classes with lecture capture software. 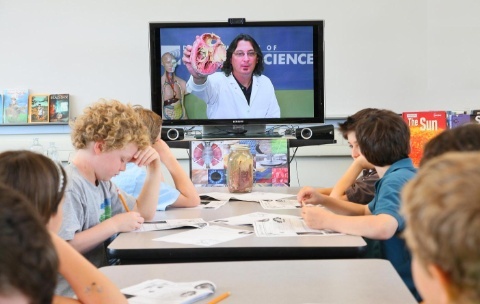 Video conferencing technology provides students with the ability to interact with other students, guest lecturers, experts, and teachers across the globe. What student wouldn’t get excited about touring a space station or talking with their friends in Europe? Students can take field trips without ever stepping out of the classroom and build relationships with students across the world. These valuable experiences are sure to make learning a lot more exciting, effective, and engaging than you could possible imagine. All of this engaging technology in the classroom can be brought to your school wireless network for you to reap the remarkable benefits. But, before integrating any of these learning tools you must first start with a secure school wireless network. Many learning applications these days are primarily web based learning tools. You need to make sure you have the network to support these tools and keep it secure and speedy. You don’t want to supply your teachers with a lot of great technology in the classroom and have them all complaining it’s lagging and hold up their lessons. That’s where we can help. We are experts in school wireless network design and have planned, designed, and deployed successful and secure wireless network solutions for schools all over the country. If you’re ready to update and enhance learning with classroom technology, and create a whole new educational experience we would be more than happy to answer any of your questions. Contact us here for a free consultation or free wireless network design. We also have some great kits and guides you might find useful. Good Luck!